High Quality design and UV finish will protect your custom made License Plate from rust, scratches, and daily wear. The license plate can be easily installed and is 6 x 12 inches with the standard 4 hole cut outs (Hardware is not included). 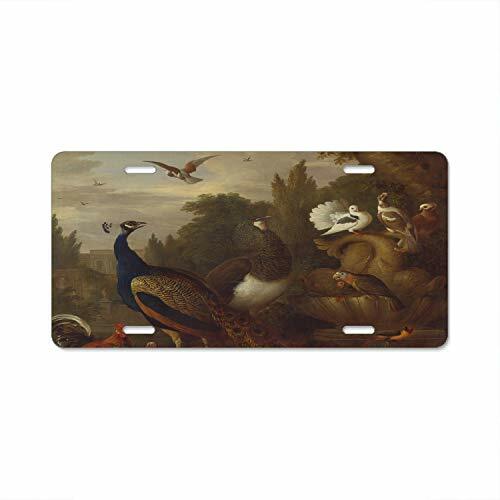 This license plate also makes a good gift for decoration on a wall, garage, bedroom, ect. It is made out of high quality Aluminum and has vibrant colors. Width: 12" / Height: 6"
Great license plate for cars. Also used as decorative signs for home/wall/garden/bar. If you have any questions about this product by Hongningx, contact us by completing and submitting the form below. If you are looking for a specif part number, please include it with your message.